This is an annual camp for experienced Judy Neimeyer paper piecers. Camp will be taught by Certified Instructor Rosie Lysinger. 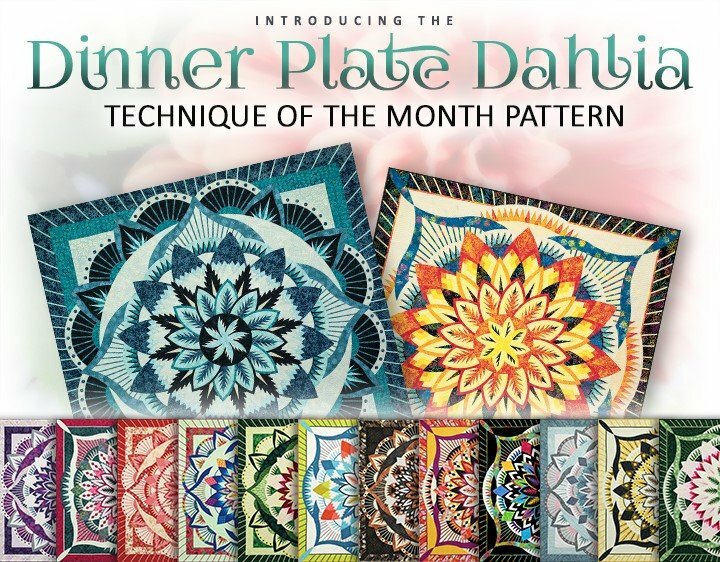 We're really excited to announce that our 5th, and newest Technique of the Month pattern, the Dinner Plate Dahlia, is now available and will be the focus of the 2019 Camp. All students who have signed up for the five day camp, will have the opportunity to schedule time with Rosie to select and preview your fabric selections using the Quiltster program. We hope you enjoy this wonderful new pattern and take advantage of Quiltster, a fabric auditioning app, to play with this pattern, customizing it to your liking before you ever buy a stitch of fabric. We've got templates set up for each colorway pictured above to get you started! 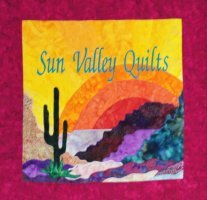 Rosie will be at Sun Valley Quilts on Wednesday, February 6th to assist you! In addition to fabric students will need to purchase their pattern. The Dinner Plate Dahlia Queen is 99" x 99", and retails for $119.50, while the Dinner Plate Dahlia Wall quilt is 80" x 80" and retails for $96.00.